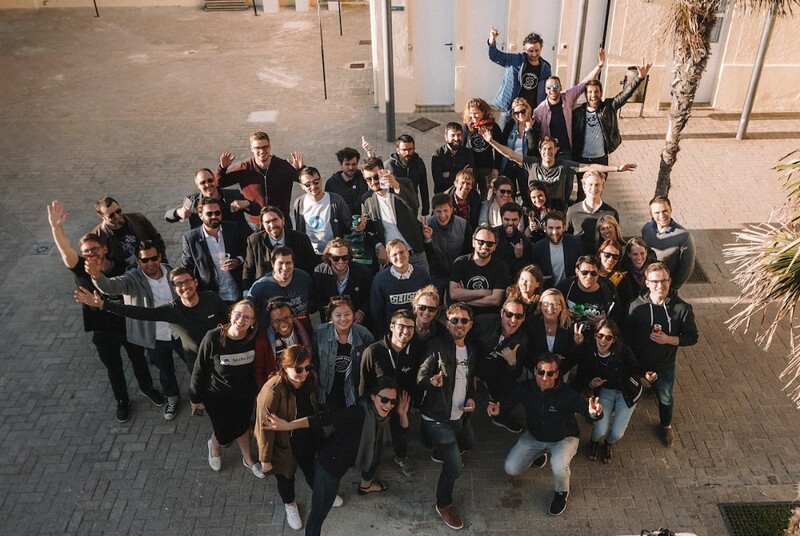 Startup Sesame is a one-of-a-kind program that connects European founders to European event organizers, bringing startups to amazing events throughout the year. While the exposure to events is great on its own, what’s even better is the network, on-site intros and especially the team behind it: Ben Costantin and his crew (@startupsesame). As a startup, you usually cannot afford to go to many conferences; however, a well-planned event can give you media exposure, great connections, sales leads, new ideas and generally provides you with learning opportunities along the value creation chain of your startup (from customer experience, networking, to closing a deal). It also gives you a great “reason for reaching out”. Yet, filtering out tons of events and which to attend, researching and planning the event in advance, and then performing on site and catching up with everything afterwards is a lot of work. Having a partner like Startup Sesame that helps you navigate that jungle, getting in touch with people on site, and last but not least with the financial costs, is invaluable. Even more, Startup Sesame not only sponsors most event tickets, they also provide additional opportunities to make use of the occasion like e.g. competing in the pitching competition, having a booth. How does Startup Sesame work? First of all, you need to apply. rockstar VCs and mentors (e.g. 01Ventures, @daphnipolis, @dynamics_vc, @FPWA, Gregory Edberg), who all support the program. Then during the weekend, you get educated about the current startup ecosystem, the events, trends and most importantly the opportunity to pitch and get feedback on your pitch. This weekend allows the Sesame team and the startup organizers to get to know you and your business. This way, they can learn how to best help you and make unique recommendations on events and competitions to apply to. It also gives you the opportunity to understand what VCs and event organizers are looking for in startup competitions and on-stage talks, which events make sense for you, and how to go about these opportunities to really make use of them for the business. It also helps you refine your pitch. After the weekend, you receive additional feedback and mentoring and then, during the following year you are presented (actively!) with event opportunities that match your startup and personality. Also, they assign #rockstar #mentors to you that help you make the most out of your event attention on site. Every year is organized differently. In our 2018 cohorte the setting was special: We were spending the time all together in shared rooms in a youth hostel at the Valencian beach. Food and coffee was a bit restricted, so we all needed to share and pay attention to each other’s needs. This brought the cohorte closer together than I think would usually have been the case (also great for the more introvert people… :D). Ben is the founder and leader of Startup Sesame. Ben’s superpower is connecting people, or rather the right people; people who can benefit from being connected. Ben has a big heart, is very kind, and I believe he truly enjoys helping founders — and this really is what shapes the spirit of Startup Sesame. I am grateful to be part of the Startup Sesame Family (#proudsesamer). These are the kind of events that you can attend as part of Startup Sesame. It was a great experience and lots of fun, but also added great value to our fundraising.